HBCU bands, along with their performances on the field and in the stands at football games during the fall, are the perfect ingredients to making typical games into spectacular events. Rarely does one in attendance leave disappointed. And while showcasing the many stellar performances we’ve seen over the past few months during the 2017 season, there were two bands we think consistently performed better than everyone else. 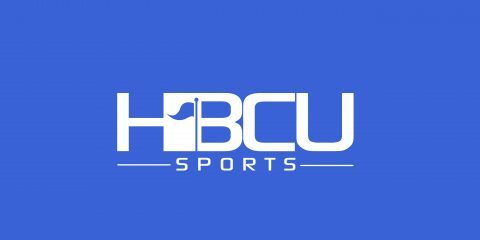 As a result, those two bands: Jackson State’s Sonic Boom of the South and North Carolina A&Ts Blue and Gold Marching Machine are the finalists for HBCU Sports’ Band of the Year. Voting ends Saturday, Jan. 20 at 11:59 p.m.
Two outstanding Marching Bands that represent HBCU’s on the highest level, congrats to both schools. I got to see JSU for the first time in person this summer at the Battle of the Bands in New Orleans, wow, this band has awesome clean and clear power. I have not seen A and T in person yet. Check YouTube videos. A & T Marching Blue and Gold. You will be thrilled! I am voting for Jackson State University, Sonic Boom of the South. BGMM is a total package band! Hands own. No contest. JSU is so predictble. Very little creativity to compliment the great musicians. JSUs performance in Charlotte’s Queen City was so horrible! They were on some “How many times she ‘gone sing moving cool” Macy Gray crap – walking in, opening, re-opening, and closing w/ the same song … How many times are we suppose to “Get Ready””???? Love, Love, Love my blue and gold marching machine! c/o 77. I vote for the Blue and Gold Marching Machine! NC A&T. Yesss! BGMM is so creative, always bringing a fantastic show. Golden Delight are incomparable, always precise and classy. The N.C. A&T Blue & Gold Marching Machine is a fantastic band comprised of talented and dedicated student entertainers. Crisp, balanced and melodic sounds are matched with spectacular dance/drill routines. The Golden Delight Auxiliary (a treat for the eyes and the senses) has no equal and can be simply described as Super Versatile and Gorgeously AWESOME! The innovative performances created by Director Kenneth Ruff and staff keep the audience members on the edges of their seats with surprises and wonder. As you might be able to tell… I am full of AGGIE PRIDE!!! Great to know that you are still feeling that Aggie Pride. Always love watching JSU Sonic Boom perform. I am so proud of the Miles College Purple Marching Machine I would like to vote for them as the best of all HBCU’s.